Recently, I bumped into an old friend. We smiled at each other, looked into each other's eye for more than normal and we moved on. Our friendship had ended abruptly. We both got to a point where we knew we had to go our own ways before things got bitter but despite of it, we dragged along for a long time until one day. One day I didn't take her call. When friendship or for that matter any relationship doesn't create any positive energy, I move away. Without much words, because words always fail me in times of extremity. Without the bitterness of final goodbyes, good memories linger in your mind like a distant happening. It lives on like a well treasured memory in another times, without any finality to it. She served her purpose in my life. She taught me to embrace simplicity without fearing the judgement of others. She taught me to enjoy simple foods like fresh figs with a spoonful of labneh, drizzle of honey and sprinkle of fresh zaatar. This tart is inspired from that quick appetizer we used to put together during food less lunch hours. I was tempted to call this labneh cheesecake as the texture resonates that , but that seemed unfair to the marvelous ingredients in this tart. The crust, made with pistachio and almond meal and dash of fresh cardamom, is my favorite shortcrust recipe lately. The figs are roasted with a generous drizzle of honey with thyme until it's dark and gooey inside. The filling is nothing but delightfully tart unsweetened labneh with little sea salt. 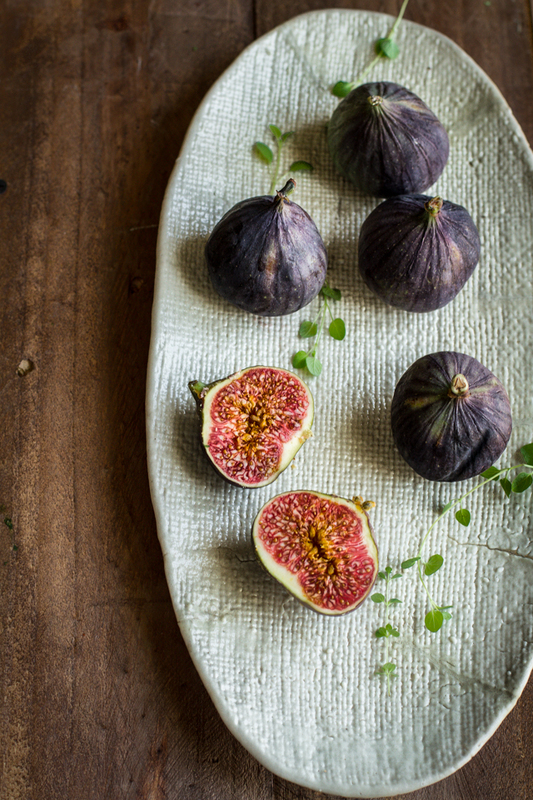 The sweet pastry and honey thyme roasted figs provide a feel good sweetness and the only final touch you should add is the drizzle of honey while serving. Of course, you could go ahead and sweeten the labneh the way you like but I would recommend you try it without it. * Grind the seeds to a powder. Retain the skin to add to teas or coffee while brewing. ** If you can't find labneh where you live, it is just strained yogurt. Strain yogurt overnight in a cheesecloth and you are good to go. Preheat the oven to 200 C. Butter a 9 inch tart pan. In a food processor, blend the almond meal, pistachio meal, sugar and flour.Add the butter and pulse a few times to get a coarse meal. Add the egg and water mixture and continue to pulse. In no time the mixture will come together in a ball. Remove, lightly work it together and wrap in cling film. Flatten and refrigerate for at least 1 hour. Once rolled transfer the pastry to the buttered pan using a rolling pin. Pinch the edges evenly upwards. Chill for another half an hour. Prick the bottom of the pastry and bake for 10 minutes. Lightly brush whisked egg white all over the pastry (I ended up breaking my yolk into the whites too,urgh) and return to the oven for another 10 minutes. Let it cool completely. Try not to eat it! At this point you can wrap up the pastry and freeze it for later use for months. Line the figs in a baking tray. Drizzle the honey all over the figs and throw in some thyme. Bake at 180 C for 15 minutes or until the honey darkens. 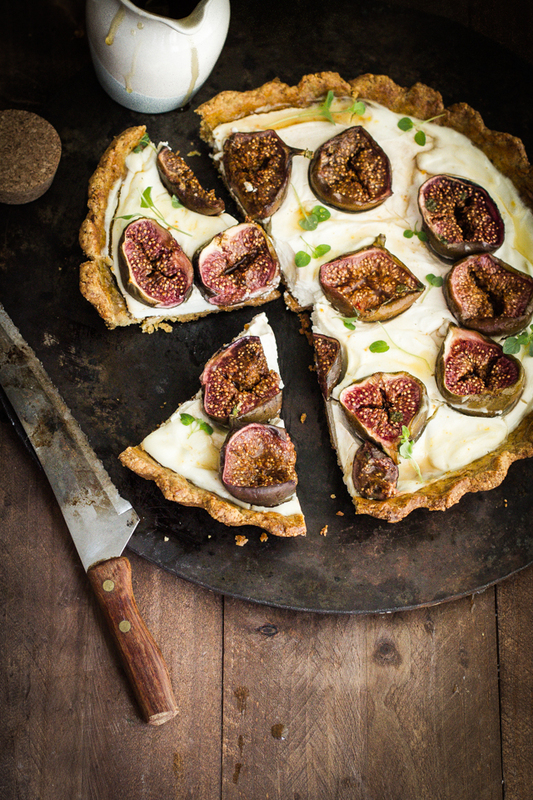 Fill the tart with the labneh and tuck in the roasted figs in it. Bake the tart for 15 minutes at 180 C until the labneh sets. You can serve the tart at room temperature but I prefer it chilled for couple of hours. When serving, garnish the tart with fresh thyme and drizzle with honey as required. I can relate to the the breaking of ----ships. It's hard but after the hard part comes relief. Like, avoiding the tempest sort of thing. A divine tart! That combination of flavors and textures is exquisite. I have had to walk away or the friends have walked away from me - they will always linger around but lifes goes on..this tart sounds soo delicious - i will be thinking of your crust recipe next time I try tart. Figs and labneh are one of my favorite combinations! I love the idea of making them into a tart. The pistachio crust sounds especially great! Gorgeous tart and a lovely post, Kulsum! Yummy tart and lovely clicks ! 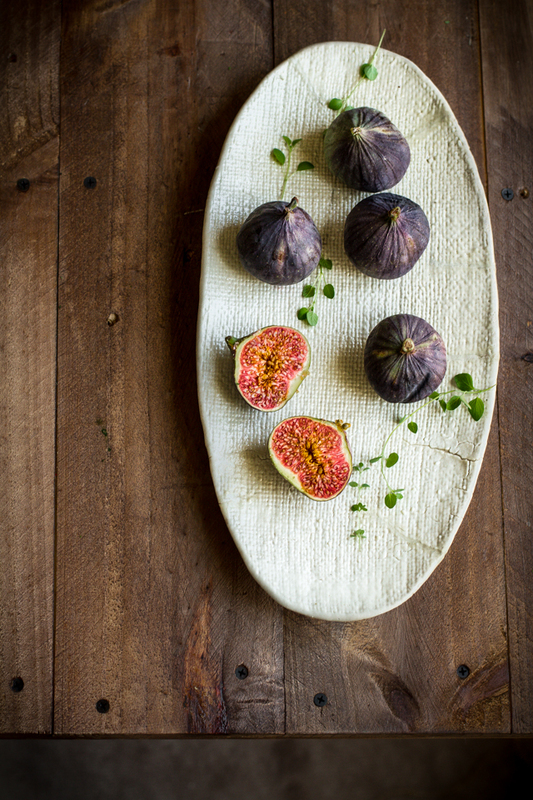 I love figs and this is such a pretty tart, Kulsum! I too have a friend, we drifted apart just like I don't have a reason as to how, when and why it happened. I wonder. Your tart looks good never had labneh before. Love your food. I've never tried Labneh, but seriously need to get on it! Also, I totally know what it's like to see an old friend...it always brings back happy feelings for me at least. Lovely post. Your writing is superb, and I am in mood for pistachio flavoured shortcrust! Can imagine how delicious labneh and roasted figs would be. This is a beautiful piece of art that you've created. You pictures do absolute justice to the flavors. Life is short, so surrounding oneself with positive people and loving every moment spent with them is precious. 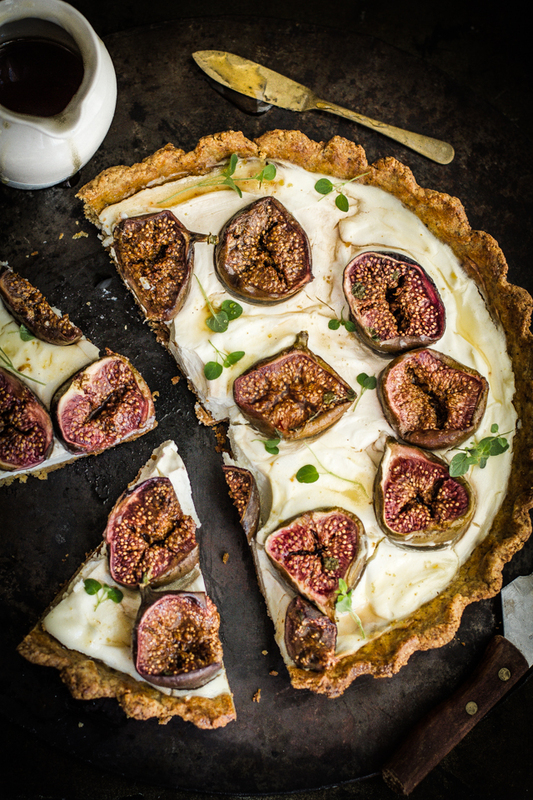 this is such a brilliant tart - love the idea of labneh as a filling and love roasted figs.. you are so creative!